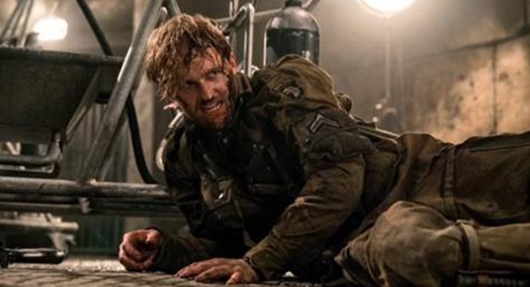 Paramount Pictures has released a new featurette video for the World War II horror Overlord from producer J.J. Abrams and director Julius Avery. The video is brief, but includes some peeks at the movie along with some words from Abrams, Avery, and stars Jovan Adepo and Wyatt Russell. Click on over to the other side to check it out. 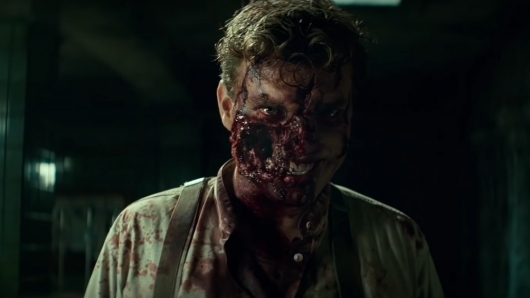 Paramount released another trailer for Overlord, the supernatural Nazi zombie thriller directed by Julius Avery. Set during World War II, American paratroopers go on a mission to infiltrate a Nazi base. Little do they know that the serum that Nazi scientists are creating could turn any mortal into a mindless zombie. And in this trailer, we get to see plenty of Nazi zombies. Check out the trailer here below. Paramount Pictures has released the first trailer for Overlord from producer J.J. Abrams and his Bad Robot Productions. The movie is a supernatural World War II horror, which for a long while was thought to be a part of the Cloverfield series. Abrams, however, recently said that while it is “batshit crazy,” it’s actually not related to the Cloverfield universe. Click on over to the other side to see how it looks. 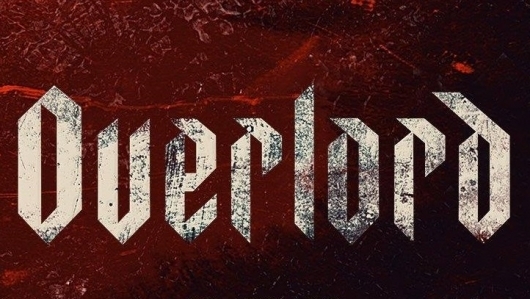 For a very long time, we were under the assumption that Overlord was connected to the Cloverfield universe. That being said it looks like Overlord, the sci-fi World War II film with soldiers fighting Nazis and their supernatural forces, is not one. 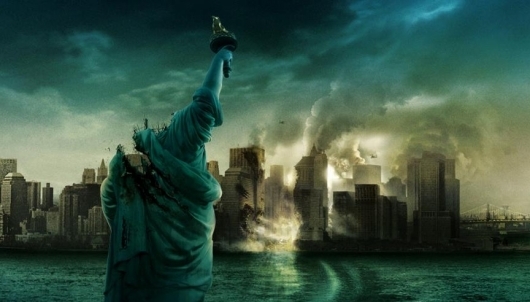 However, J.J. Abrams, who has been a producer on all the Cloverfield films, says that a true sequel is in the works. More on the story below. A new trailer has been released for the stalker dark comedy Ingrid Goes West, which stars Aubrey Plaza and Elizabeth Olsen. The movie is directed by Matt Spicer, and also stars O’Shea Jackson Jr., Wyatt Russell, Pom Klementieff, and Billy Magnussen. Ingrid Goes West follows a girl named Ingrid (Plaza), who decides to move out west to Los Angeles in hopes of becoming friends with Taylor (Olsen), who Ingrid follows on Instagram and who she might be slightly obsessed with. Continue below to read more about the movie and check out the trailer. A release date has been set for Overlord, which is described as a supernatural World War II thriller. An October 26, 2018 release date has been locked in for the movie, which comes from Paramount Pictures and Bad Robot. Starring is Jovan Adepo (Fences, The Leftovers) and Wyatt Russell (22 Jump Street, Everybody Wants Some!!). Directing is Julius Avery (Son of a Gun), from a scrip penned by Billy Ray (The Hunger Games, Captain Phillips) and Mark L. Smith (The Revenant, Vacancy). If there is anything we love about J.J. Abrams‘ mystery box movies, it’s that the payoff is worth more than the price of admission. Cloverfield was a nauseating POV hit that gave way to its cousin-like sequel 10 Cloverfield Lane. That film ended with the possibility of a sequel, which would presumably be connected to its predecessors while also standing on its own. It’s still not clear how God Particle will link to these films. But since it has been pulled from Paramount’s release schedule, it is safe to say the studio has found a “replacement” in Julius Avery‘s Overlord. 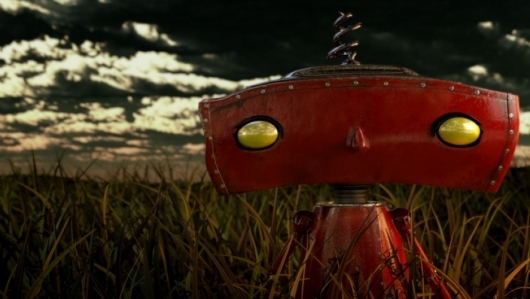 When the film was announced back in February, folks started to connect the dots when the project was yet another Bad Robot and Paramount collaboration. Now, new casting and a plot description is feeding the speculation machine. Find out more about the film below. One more treat for you this Thanksgiving. And it is something to truly be thankful for if you’re a hockey fan. I very much look forward to watching my Bruins later today! 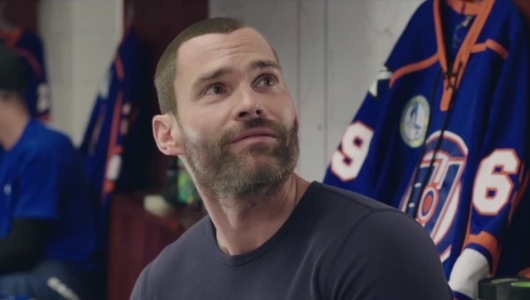 2011’s Goon, starring Seann William Scott as someone who has a particular talent for fighting and ends up on a hockey team as their enforcer, was easily the best hockey comedy since 1977’s Slap Shot. A sequel to the movie is on the way, titled Goon: Last of the Enforcers, and the first trailer for the movie has been released online. William Scott returns to reprise his role in the sequel, and Jay Baruchel, who wrote, produced, and starred in the first, returns to write, star, and even direct this time around. Be sure to continue below to check out the first trailer for Goon: Last of the Enforcers, along with a recently released poster. Written and directed by Richard Linklater (Before Midnight, Boyhood), Everybody Wants Some!! is a spiritual sequel to the filmmaker’s seminal 1993 film, Dazed and Confused. Set in 1980, the movie follows the lives of college baseball players on the last weekend before Fall semester begins. Blake Jenner (Glee) stars as 18-year-old Jake, a freshman pitcher who arrives at Texas Southern University blasting The Knack’s “My Sharona.” His home for the next four years is the run-down, off-campus baseball house; a place for winners. Upon arriving, he is immediately hazed by McReynolds (Tyler Hoechlin), the team’s mustachioed heavy hitter who hates pitchers (especially lefties like Jake). Paramount Pictures has released a trailer for Everybody Wants Some. The movie comes from five-time Academy Award nominee (three of which coming from his previous film, Boyhood) Richard Linklater, who writes and directs. Everybody Wants Some is set in the ’80s and is considered a spiritual sequel to Linklater’s 1993 cult classic Dazed and Confused, which took place in the ’70s. You can check out the trailer below.